We offer very competitive window cleaning services for our clients. We clean inside, outside, screens, Mullins and tracks. 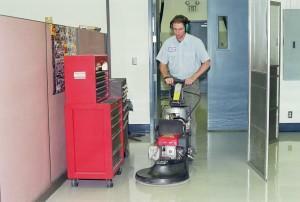 We coordinate our specialty services with our teams that are already cleaning so you don’t have to be inconvenienced. We also do specialty window cleaning reaching the high areas. Services include larger unreachable mirrors light fixtures, chandeliers and light diffusers. As with all our services, you will never have to remind us when it is time to do any extras. We always do the extra jobs on schedule, on time, and at your convenience. We offer pressure washing for the exterior of buildings, homes and walkways. Moss, animal deposits, dirt and other oily residue can make walkways slippery when it rains. A periodic cleaning of walkways and entrances is often a good idea to keep these areas safer for employees, customers, and friends and family. Keeping the exterior of building, home, swimming pool clean and removing cobwebs and debris under the eaves, in the gutters keeps a business or home looking professional and inviting. A clean exterior walkway also keeps the interior environment cleaner by not tracking in dirt and grit that can soil carpets and wear down vinyl surfaces and hardwood floors, not to mention the bacteria to your children and pets. We can maintain your hard surface floors by stripping & refinishing work, and we provide regular burnishing services to many of our clients. We use quality floor care products which provide the ultimate in protection, gloss and appearance for a longer lasting shine and greater durability. Our products we use are an excellent option for clients who are trying to meet greener standards in their facilities. Whether it’s daily, weekly or monthly burnishing, we will carry out a regular polishing schedule to keep your floors glistening and reduce the need for more frequent and costly refinishing work. Our technicians will thoroughly clean your tile and grout with machines that have rotating scrub pads and chemicals, scrubbing, rinsing, extracting and drying your floors with our truck mounted equipment. Next they apply the sealant to the grout joints. Your floors will be completely dry by the time the job is completed. Your tile will look like new again!